STURGIS, S.D. - Sturgis split a pair of matches at their home triangular Thursday night. Aberdeen Central defeated Sturgis 46-27 in the first match of the day, as the Golden Eagles won the heavyweight classes. Brett Konst at 132 and Bailey Brengle at 152 earned wins over Aberdeen Central. In the second match, Sturgis edged Huron 32-24 in a very competitve competition. Sturgis won the last two matches to capture the victory with Clayton Smith and Joel Carpenter earning victories. Elsewhere at the Sturgis Triangular, Rapid City Central defeated Huron 46-18 and Aberdeen Central 38-33. In other wrestling Thursday, Rapid City Stevens earned two victories at their triangular. 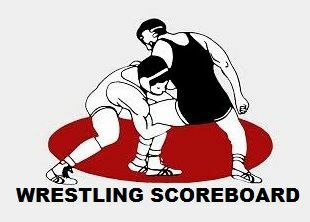 Stevens defeated Belle Fourche 81-0 and dropped Spearfish 53-15. Spearfish defeated Belle Fourche 74-6 in the other matchup. And Custer/Edgemont won all three of their matches at the Custer Quad. The Wildcats defeated Bennett County 46-30, beat Newell 52-12 and then rolled past Newcastle/Upton 45-24.